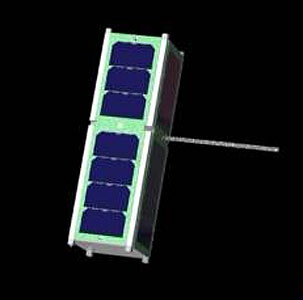 The RadSat-u (Radiation Satellite), is an 3U CubeSat mission developed at the Montana State University as a technology demonstration of a new radiation tolerant computer system in a low earth orbit (LEO) satellite mission to demonstrate TRL-9 of the technology. This project has two primary goals. The first goal is to develop a cube satellite, RadSat, for demonstrating a Radiation Tolerant Computer Stack (RTCS) which was developed by graduate students here at MSU. The second goal is to design and integrate a solar cell experiment with the RTCS on RadSat. The solar cell experiment is an ionizing radiation detection sensor that will provide an additional layer of fault mitigation for the RTCS when high intensity radiation strikes are incident upon the RTCS. The solar cell experiment will also provide the ground team at MSU useful feedback regarding the frequency of ionizing radiation strikes experienced by the CubeSat.